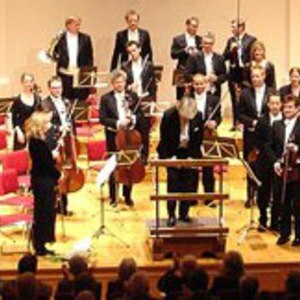 The London Chamber Orchestra has remained an innovative and adventurous ensemble, premi?ring works by some of the twentieth century's most important composers, including Stravinsky, Bloch, Vaughan Williams, Respighi, Delius, de Falla, Faur?, Finzi, Prokofiev, Hindemith, Poulenc and Villa Lobos. Since his appointment as LCO's Principal Conductor and Music Director in 1988, Christopher Warren-Green has continued this tradition with premieres including works by Maxwell Davies, MacMillan, Fitkin and a host of new compositions from young composers. On 22 March 2012, LCO premieres Track to Track, commissioned bv The LCO Trust as part of the 2012 Cultural Olympics and PRSF New Music 20x12. As new LCO Life President and former Chair of The LCO Trust John Wates said, ?When you come to an LCO concert you are buying into a bigger picture.? This bigger picture reflects LCO's philosophy, as an elite ensemble with an enviable reputation, of sharing its excellence in a socially aware environment. Last year saw the launch of Music Junction, a series of education projects that work in partnership with Barnardo's. In 2011/12, nearly half of LCO's London series will be performed in support of charitable causes a tradition started some 25 years ago. Aside from its enviable National credentials LCO is also recognised globally, having played in concert halls around the world ? from La Scala, Milan to City Hall, Hong Kong, and throughout the Far East, the USA and Europe. In retaining its independence from public subsidy, LCO continues to enjoy significant support from private donors, enthusiastic audiences, corporate sponsors and Trusts and Foundations. LCO insists on impeccable performance credentials in attracting its advocates. Principal Conductor Christopher Warren-Green, LCO's musicians and management aim to uphold LCO's world-class stature and its mission to educate, enlighten and entertain.